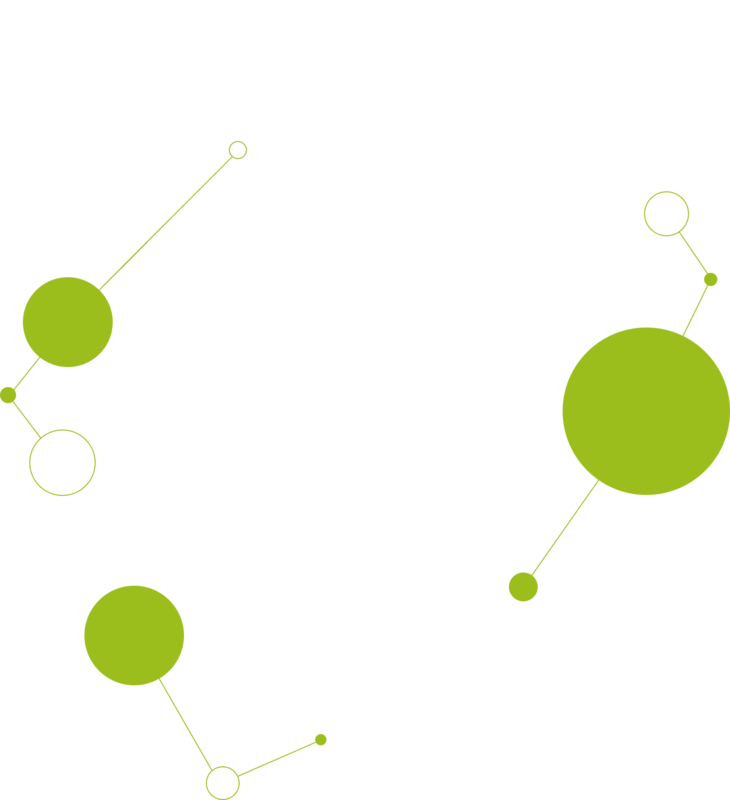 The COB is a network organisation, a foundation with more than sixty affiliates, all involved in subterranean construction and the use of subterranean space. The network includes consulting engineers, construction companies, public authorities and knowledge institutions. The COB’s philosophy is that the use of subterranean space provides an essential contribution to making the Netherlands attractive, sustainable and a pleasant place to live. Subterranean construction creates value. The COB therefore wants to create a positive development climate for the use of subterranean space, so that the exploitation of the underground becomes a logical part of spatial planning. The costs of subterranean construction are often off-putting, but there are great returns to be achieved in terms of sustainability, space and quality enhancement. The square in front of Rotterdam Central Station is an enjoyable environment due to the underground parkings (car and bicycles) and tunnels (car and subway). The COB collects, develops and provides access to knowledge about the subterranean use of space. This is done by constantly surveying what issues are current within the network and within Dutch society. The COB then initiates and supervises projects which help to solve the problem which has jointly been identified. The broad composition of working groups means that all relevant aspects of a problem are considered. The knowledge that is acquired belongs to everyone and can be used by everyone. The participants within the COB are not competitors, but work together on a solution. 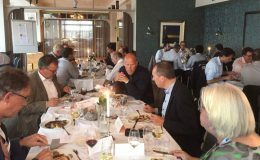 The result is shared across the network, by recording it in publications and presenting it at meetings, within training courses, on the website and in the magazine De Onderbouwing. However, participation itself is already one of the most powerful ways of developing and embedding knowledge. The COB focusses on subterranean construction in Dutch soil, but problems and solutions become more and more international. We therefore actively seek collaboration with (European) partners to join forces and learn from each other. 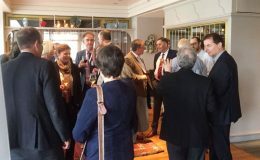 The research projects that are currently being carried out within the tunnel programme of the COB network can also be very valuable for other countries. The tunnel programme is the result of a two-year study into the future of tunnels. The position of tunnels in their immediate environment and their network is changing, the issue of sustainability is coming to the fore and increasingly higher demands are placed on the reliability, availability and noise levels of tunnels throughout their entire life cycle. In 2016 the COB-network developed a long-term vision as a guideline for clients and contractors. 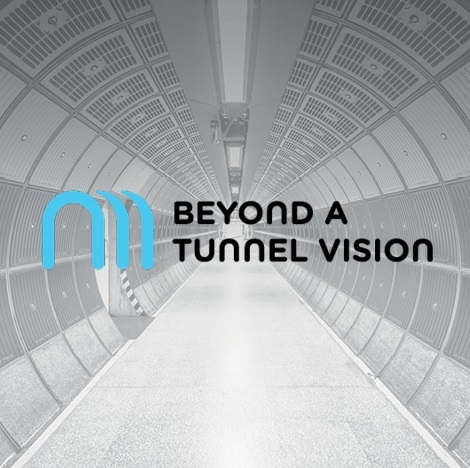 In the period from January to September 2017, the COB network, together with external experts, translated that vision on tunnels into concrete goals and an integrated programme. 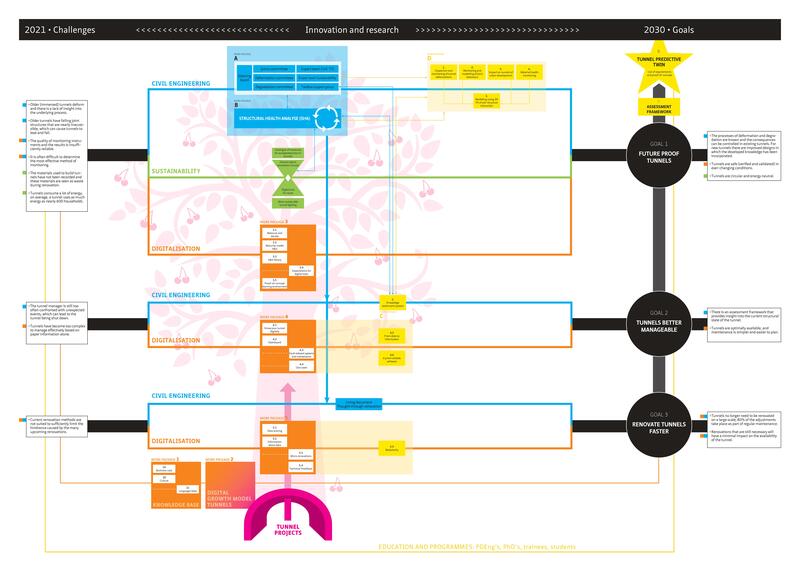 This tunnel programme currently (2018) includes eight active research projects! 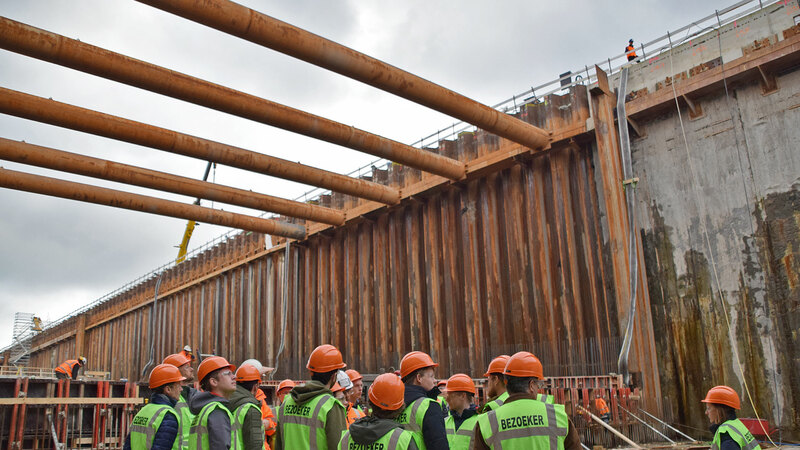 European tunnel experts met November 27th 2018 in Brussels to define and implement a groundbreaking approach for the management and renovation of underground infrastructure. 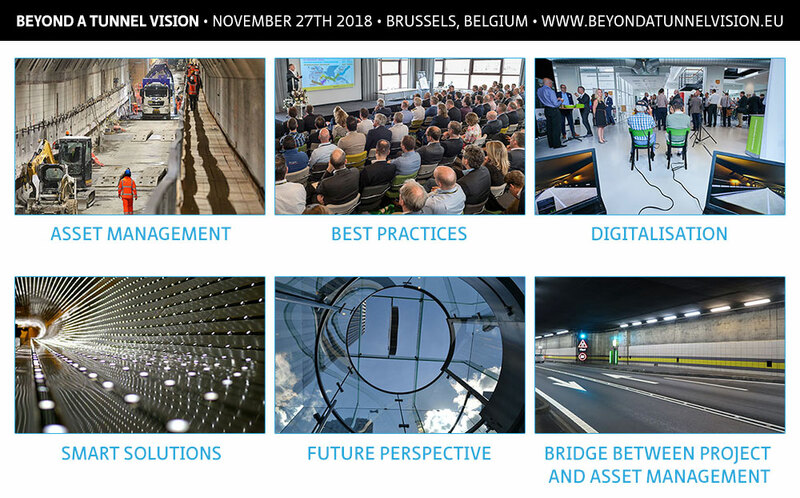 Beyond a tunnel vision was a one-day, international conference where over 300 representatives of the European infrastructure community joined us. Given the success at the WTC2018 (see on the right), the COB network has again joined forces for the World Tunnel Congress in 2019, in Naples, Italy. Our main abstract, about the Dutch tunnel programme, see above, has been accepted! For more information you can contact coordinator Karin de Haas at karin.dehaas@cob.nl or 0031 85 4862 410. In collaboration with BESIX and KIVI, the COB hosted a network event at the WTC Dubai 2018. 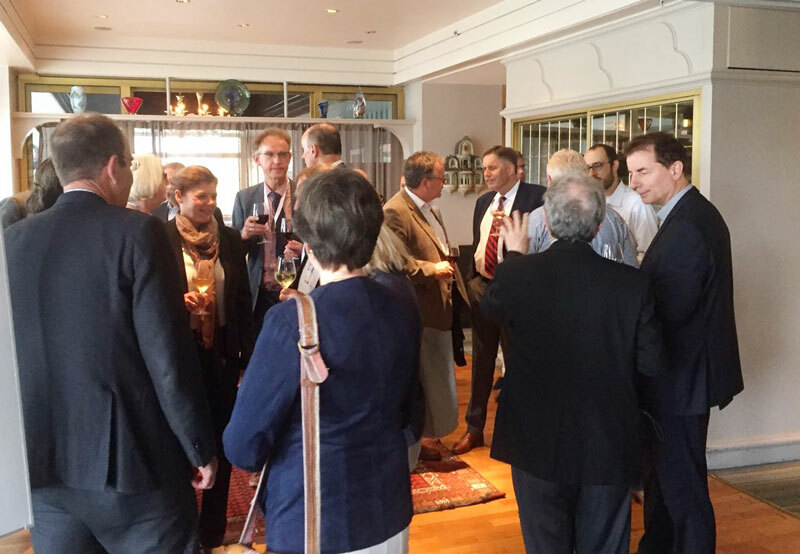 At this gathering the guests talked some more about the topics of our presentations: digital tunnel twins, tunnel renovations, energy reduction and long term visions on tunnels. 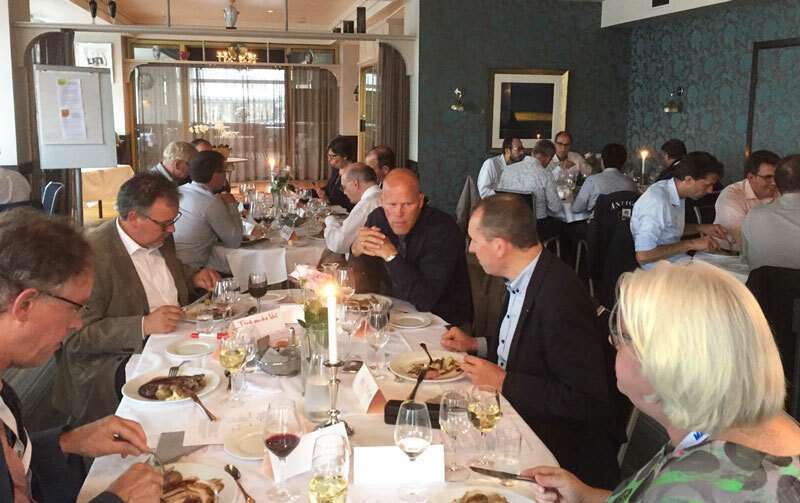 Working dinner at the World Tunnel Congress in Bergen, Norway.